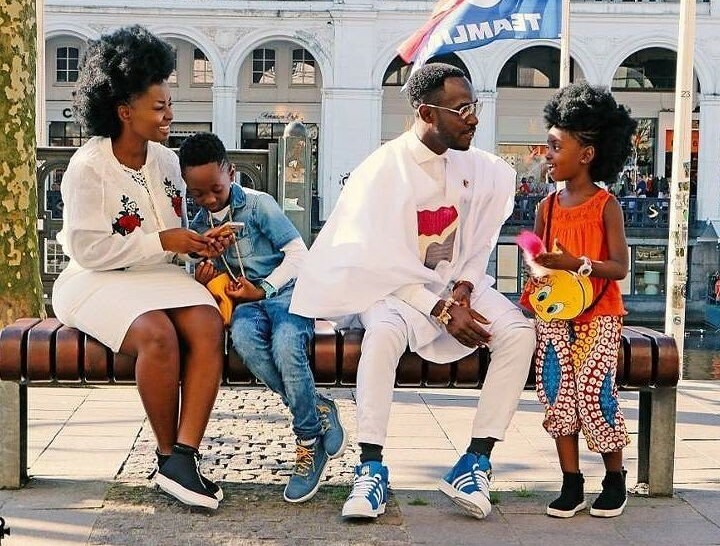 Okyeame Kwame and his family: his wife – Annica – and their children – Sir Bota and Sante – are undoubtedly one of the most popular showbiz families in Ghana today. Quite unlike what we see in this part of our world, the Rap Dacta has involved his family in everything that has to do with his craft: his wife manages him and he has released songs – Saucing and Read – with his kids, as well as featured them in some videos. Recently, Sante launched her own hairpiece line known as Sante’s Hair For Kids. But while some people find such moves great, it seems not everyone is enthused about the active involvement of the children in the industry, with some saying they are just profiting off them. However, Annica dismissed those opinions in an interview with Graphic Showbiz last Tuesday, saying they were more interested in raising their children to not live stereotypical lives. “The problem with us as Africans is that we are afraid to venture into lots of things. So we always take the ‘safe’ option to go to school, find a corporate job and get paid. But what we want to teach our children is healthy risk taking. “As parents, we are not looking at the stereotypical lives for our children. We are looking at their talents and nurturing them. So whatever they show interest in that is legal and builds them up, that’s what we will drive. 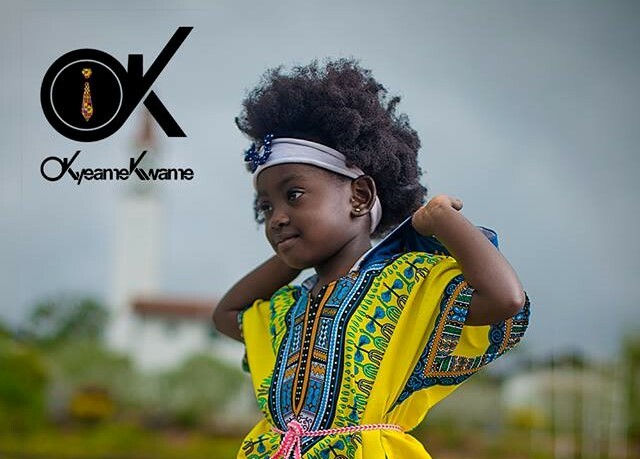 Contrary to what people might think, Annica said they did not impose anything on their children; rather they came up with their own ideas which she and Okyeame Kwame refined. “Sante actually came up with the idea of Sante’s Hair For Kids. My sister, Xonia, has a hair shop in Kumasi called Sante’s Hair. When we were looking for a name for the shop, she suggested using Sante’s name because she is very hairy. So from a very early age, my sister nicknamed my daughter CEO. “One day Sante returned from school to find a lot of hairpieces in the house. My sister had just returned from one of her travels to buy hair. She asked if children could use the hair and we told her they were for grown-ups. “We all thought it was a good idea. So Okyeame promised her that he would work towards that in collaboration with my sister,” annica said. According to Annica, her daughter was very much involved in the process of making the hairpieces and they incorporated her ideas into making them. She said although they were encouraging Sante’s venture, they managed her involvement and made sure that she had a balanced life. For Annica, it is not right for anybody to see what they’re doing with their kids as exploitation. “Anybody who sees a parent who is inspiring and ‘pushing’ their own child into the most important venture in nation building or entrepreneurship as exploitation should be checked. “What parents are supposed to do is to assist their children to be independent emotionally, financially and spiritually. Once they are well set on these paths, my job will be done. “I don’t want them coming to us for money when they are aged 20, they should earn their keep. So we keep researching with them on how to make their own money legally, how to build a business, how to become financially independent, how to save etc,” she said. She added, “My children go to three schools; they do their regular school from morning to 3pm, they do long distance online homeschooling by a group of Harvard and MIIT graduates and then they have an in-house teacher who takes them from Friday to Sunday. I think that’s a good start for children who are nine and seven years old. “The least we can do for them is get them to pursue things they love. So whatever they love that doesn’t go against the laws, by God, we will work at making it happen,” Annica added.